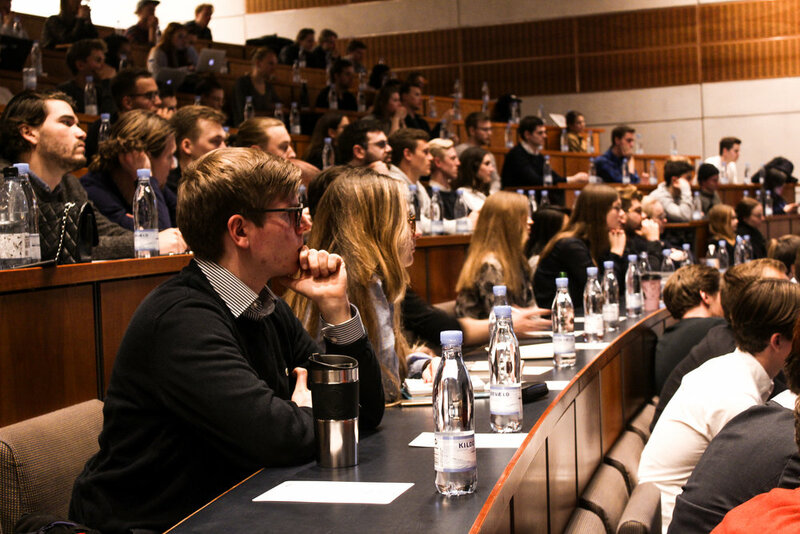 CBS students represents and advocates for all 21,703 students at Copenhagen Business School and serves as the main interface between the students, and the CBS faculty/administration. Through our social, political and academic initiatives we strive to create a rewarding and fun experience for all students. Our volunteer-run organization is by your side from the day you join CBS until you graduate, in all aspects of student life. We arrange intro days so that you get familiar with life in Copenhagen and at CBS, organize the election where students are chosen as representatives in study boards and various political bodies at CBS, and we work closely with the CBS administration on a range of issues concerning everything from the IT infrastructure, study spaces and course evaluations. Besides the formal aspects of student life we also provide you with great food and cold beer. CBS Students owns Spisestuerne, which operates all the canteens and catering on campus. 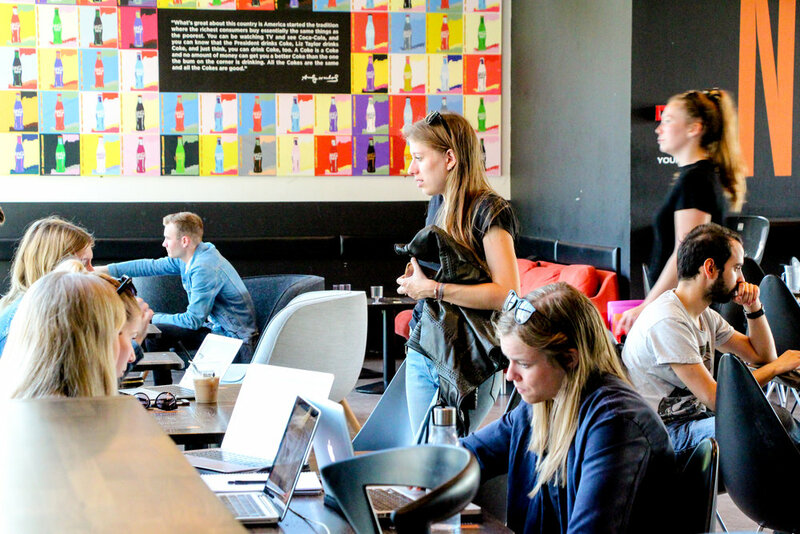 And also, Cafe Nexus, our amazing social hub, where you are guaranteed early morning coffee and great night every Thursday. We also operate PRINT and ensure you get the best merchandise from CBS Collection. All of this is achieved by a team of 50+ hardworking student volunteers, who are steered in the right direction by the presidency, consisting of 4 students and the board of directors, which sets the organization’s long-term strategy. We are constantly working on making CBS the best place for you, its students. CBS Students is The Student Union at CBS. We are here to make CBS a better university for the students by being involved in decisions that affect their student life, by creating education that meets the expectations of the students and by ensuring that a framework for a good study environment is in place for all the students of CBS. To find out more you can read our Mission and Vision Statement. how do we make cbs a better place? CBS Students is volunteer-run, and all of our activities are planned and executed by passionate students. The management of the organization is made up of the presidency and the Board of Directors, both made up of student volunteers, and the Secretariat, which supports and facilitates CBS Students activities. CBS Students believe in supporting a flourishing student environment, and that includes supporting student run organizations. We act as the umbrella organization to more than 100 student organizations with the common goal of improving student life at CBS. We help organizations get registered, assist with practicalities like room booking, and provide opportunities for growth through workshops, networking, etc. Whether you're a foodie, a gamer, play an instrument or want to hone your debating skills, there's probably a student organization for you at CBS. And if there isn’t, you can create your own! If you want to read more and see the full list of active student societies, please click HERE. With so many active students at CBS, there is always a student-led activity or event to join ranging from lectures, study trips, movie screenings, or wine tastings. You can look at our calendar to get an overview of events hosted by CBS Students or the student societies, and find information about where, when, and how to sign up. CBS Students engages in relevant, inclusive, enlightening, non-partisan, and active student politics in and outside of CBS, in open fora where possible. We represent the interests of all 21,703 CBS students both internally at CBS, through study boards and the academic council, and externally on a national level, engaging with other student unions and impacting education policy. CBS Students arranges the CBS elections, RunOR and VoteOR, where students can run for the study board of their programme or for some of the decision-making bodies that govern CBS. This is where students can have an impact on teaching methods, evaluations, curriculums, among others. If you would like to learn more about these organs, please click HERE. Externally, we are non-partisan and primarily participate in conferences. We also keep students informed about big events happening on a national scale, such as policy changes or strikes that can directly affect students’ lives. However, 90% of our time is spent on internal representation. CBS Students works hard to make sure that you don’t have to travel far to print important documents, get lunch, or a drink with friends. CBS Students keeps you well fed at a reasonable price through Spisestuerne, which operates all the canteens and catering on campus. We also own Café Nexus, the student cafe/bar, which welcomes you for your daily cup of coffee and hosts great parties every Thursday. Additionally, you can get CBS apparel from CBS Collection, and you can print your assignments, rental contracts, or anything you need with your student ID through CBS PRINT. CBS Students also works with the university administration to improve other campus facilities and services such as study seats and opening hours of the library, and the IT infrastructure, among others.